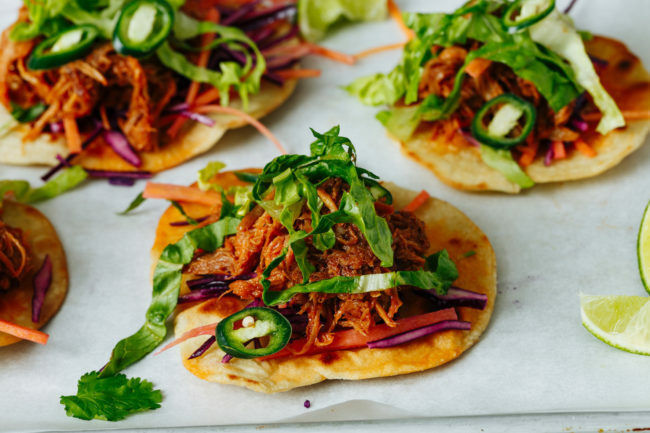 These juniper pork tacos are messy, colourful, fun and delicious! I love getting lots of toppings, putting them in the middle of the table and letting everyone dig in. You can always use a slow cooker if you have one for this recipe. 1. Mix the marinade ingredients together and pour over the pork shoulder, coating the meat. Leave overnight to marinade. 2. Put the pork in a heavy-based casserole pan, add in the stock, place the lid on and cook on a low heat, 160˚C, for 4 – 5 hours until tender and the pork falls apart. During cooking, check the meat every hour and give it a stir. 3. 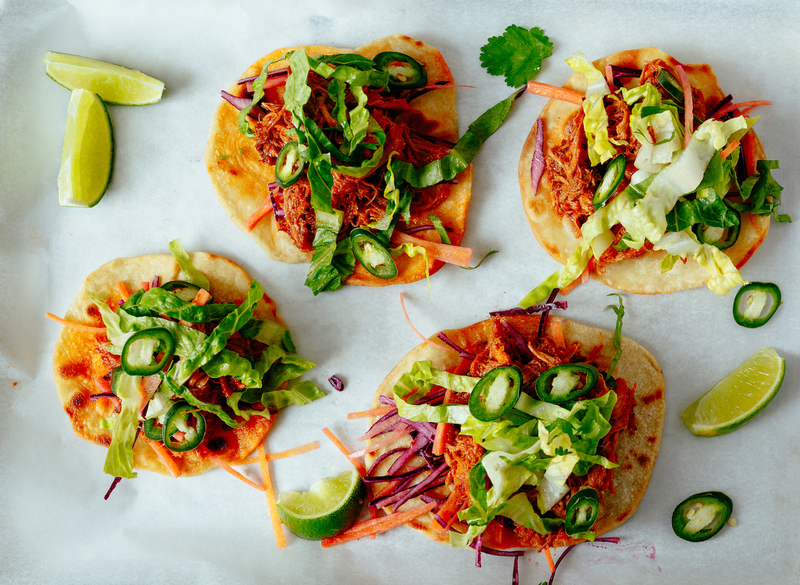 Using a dry griddle or pan, toast the tortillas for 1 minute on each side or until they are marked or crisp. 4. While the pork is cooking, make your preferred toppings. 5. Once the pork is cooked, place everything on the table.